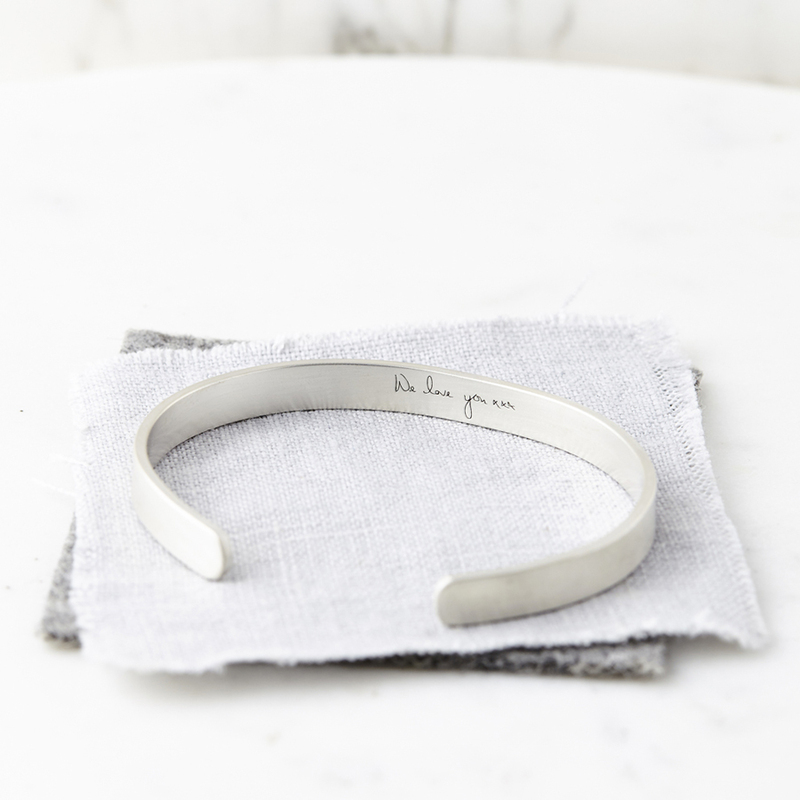 Personalised Silver Handwriting Signature Bangle – Simple, sleek hallmarked sterling silver bangle deeply etched with your handwriting, or a loved ones handwriting. Preserve their signatures or short messages to treasure forever. 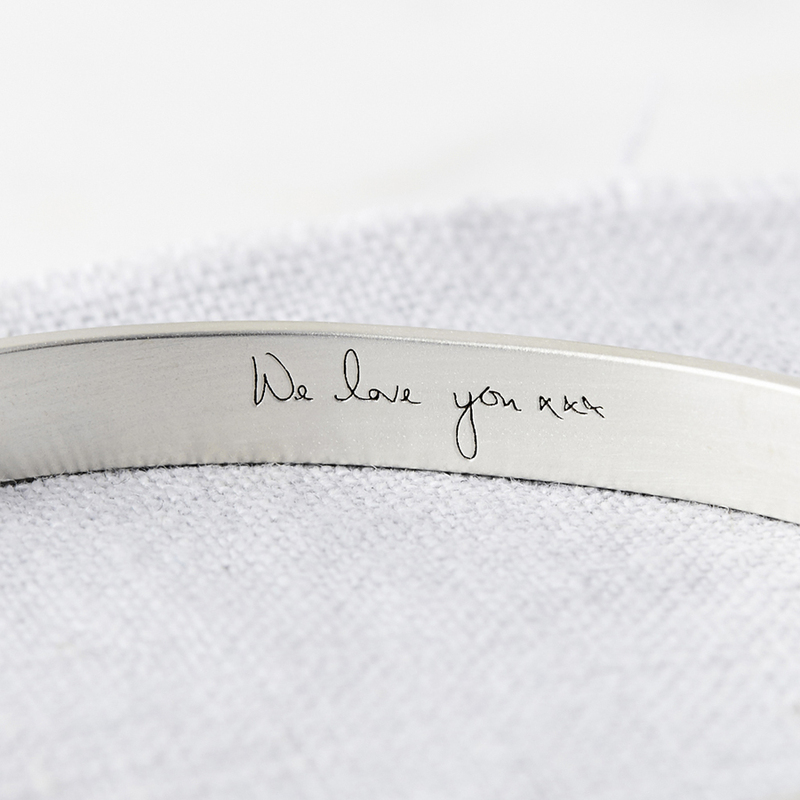 A hidden message can also be etched on the inside of the bangle. This could be something between just you and the wearer, perhaps a special date, or a short message from you to them. 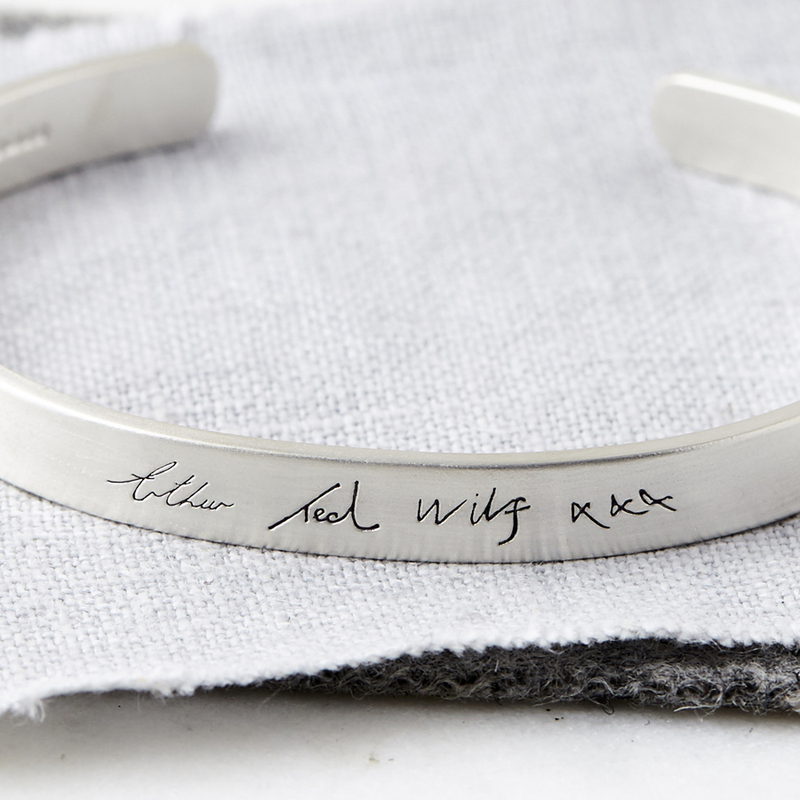 Suitable for both men and women, this bangle makes a wonderful thoughtful gift and is a fantastic way to capture the handwriting of a loved one. Perhaps a child’s handwritten name, a love message or a treasured note from someone who is no longer with you. 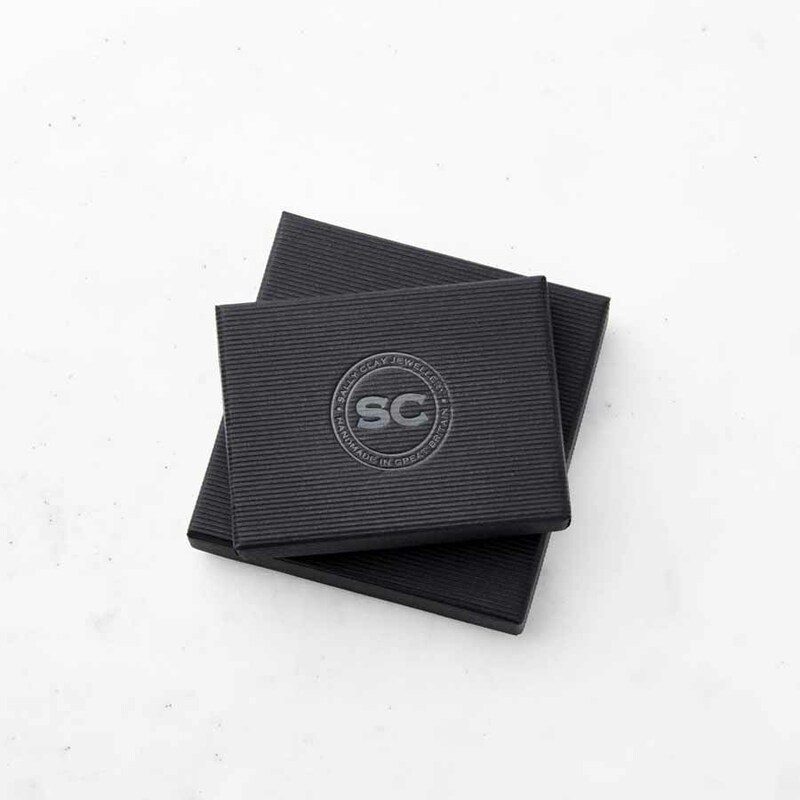 The bangle will be beautifully gift wrapped in a box – this service is completely free of charge. We will happily include a gift message and send directly to the recipient. Once you have placed your order, please email us a scan of the handwriting or image. 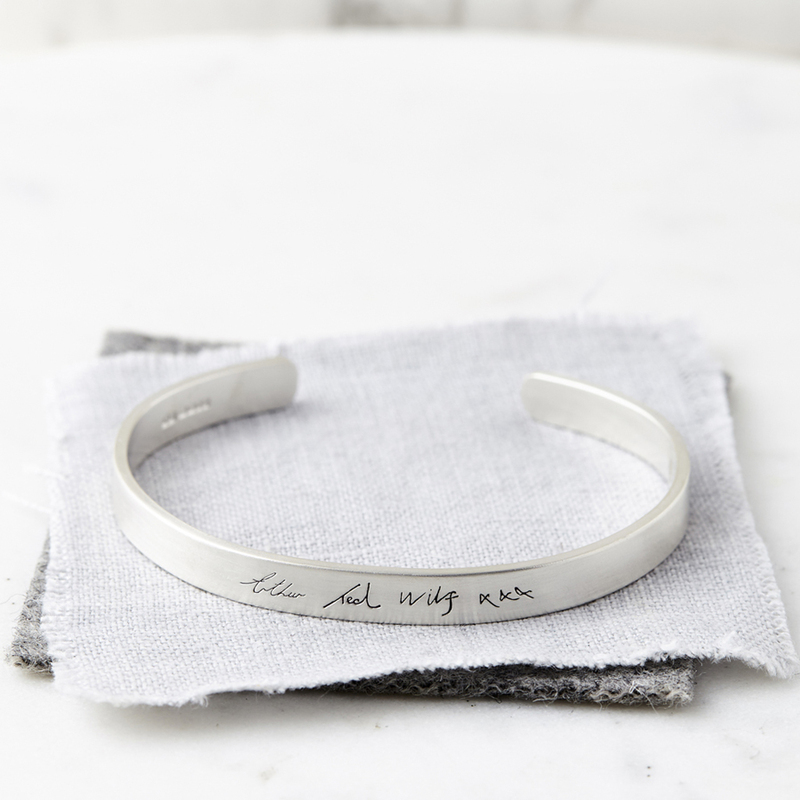 If you would like engraving on both the outside and inside of the bangle, please make it clear which text you would like on the outside, and which text you would like on the inside.